Travel Italy and fall in love with the land, the people, the food and the life style. Travel Italy & Celebrate Love! 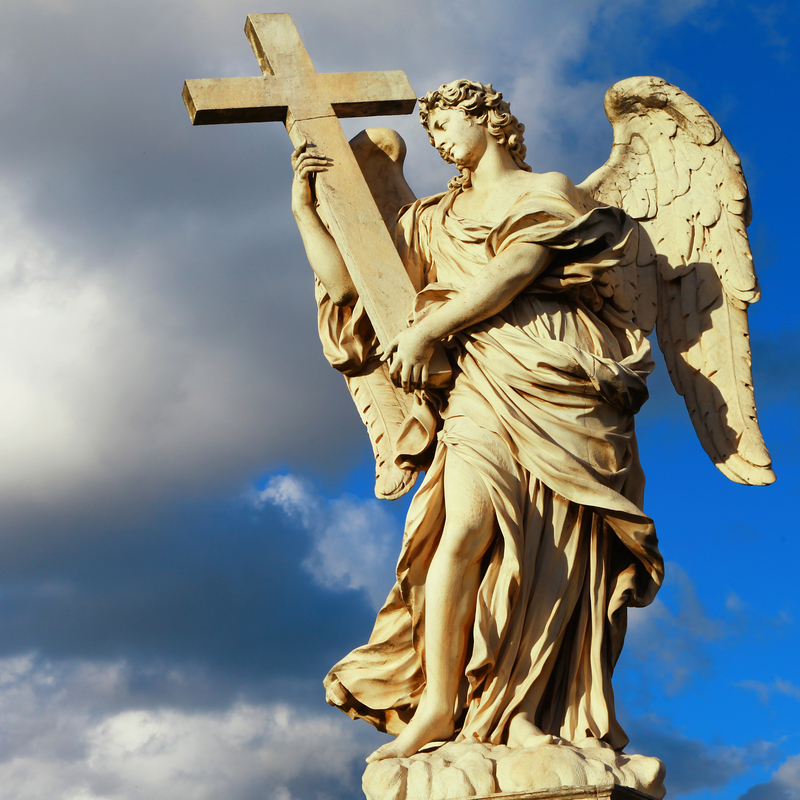 Easter is celebrated throughout the Italian Peninsula, and the Sunday celebration is preceded by days filled up with solemn holy week processions and masses held in every little town. The processions have statues of the Virgin and Jesus being carried on the shoulder by 4 or more young men often dressed in traditional ancient costumes and slowly parade through the city during the Good Friday night. Olive branches are often used along with palm fronds in the processions and to decorate churches. Many believers will follow along carrying a torch or a candle, others may place a candle on their balcony, as they wait for the procession to slowly pass by. When it stops underneath their windows, as the priest recites loud a passage from the psalms, they will also pray along or will simply listen silently and then cross themselves at the end. In some towns, such as Montefalco and Gualdo Tadino in Umbria, the processions are very dramatic, as they reenact the trial of Jesus Christ along the Via Crucis (‘the stations of the cross’). The Good Friday procession in Trapani, in Sicily, is 24 hours long, the one in Enna, still in Sicily, is comprised by more than 2,000 friars dressed in ancient costumes walking through the streets of the city. The oldest procession is believed to be the one in Chieti, in Abruzzo, where the psalm Miserere is played by 100 violins. If the days before Easter are of course days of penitence and introspection, Easter day in Italy is indeed very joyous. In Florence, it is celebrated with the Scoppio Del Carro, literally the ‘explosion of the cart’, a ceremony which dates back over 350 years. A two to three stories high, and elaborate wagon, built in 1622, is dragged through Florence by white oxen, until it reaches the Basilica di Santa Maria del Fiore in the historic center. After mass, the Archbishop lights a dove–shaped rocket, called the “Colombina”, and symbolizing the Holy Spirit, thus igniting the fireworks held in the cart. This spectacular display is followed by a parade in medieval costumes. In Rome, Easter Day mass is celebrated in Saint Peter's Square, in front of a stadium-like audience. At the end, the Pope gives the "Urbi et Orbi” blessing (‘to the City and to the World’), from one of the balconies of Saint Peter's. When going to church on this day, it is customary to bring a plate or a container with some boiled eggs, which will be placed on a table next to the altar and blessed from the priest during mass. A big lunch with family follows, where the blessed eggs will be eaten first, and followed by many other dishes. 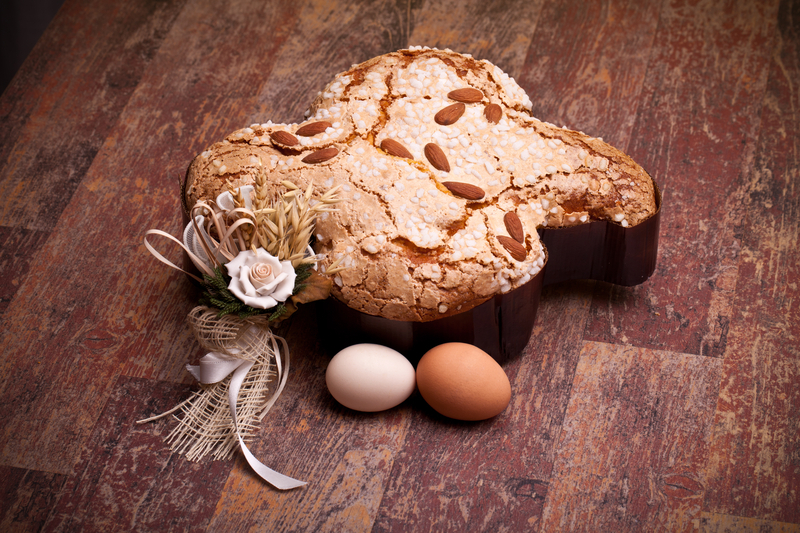 At the end of the meal chocolate eggs will be exchanged as a gift, and the tasting of the “colomba pasquale”, a traditional, dove-shaped, Easter cake will follow suit. Hollow chocolate eggs containing gifts have long been an Italian Easter tradition, and are very popular, among children and adults. Some of them are humongous, and may contain prestigious surprise gifts, therefore they are often given away as a special prize in some competitions or lotteries. The next day is a public holiday in Italy, and is always celebrated. We have a saying which goes, “Natale con i tuoi, Pasqua con chi vuoi”, which means that it is almost imperative to spend Christmas with family, whereas you can spend Easter with your own choice of friends. Well, Italians have been taking this proverb literally for the longest time, and on Easter Monday, also known as “La Pasquetta”, if weather permits, we usually take short breaks to the countryside with friends or family, or we just go for a picnic with friends. It is a very popular holiday among us, who usually can’t wait to test the weather and it also usually marks the beginning of “la stagione del mare”, ‘the sea season’. The arrival of Easter brings with it many traditional desserts. We would like to show you how to make a delicious “Pane pasquale dolce”or “Schiacciata pasquale”. This sweet Easter bread is a rustic mix of butter, flour, raisins, then garnished with hard boiled eggs.The “Pane pasquale dolce” is a traditional Easter recipe, reminiscent of the simple old time flavors, and therefore not too sweet. However, this time we will add some condensed milk to the dough, for a softer and tastier consistency. Sift the flour in the bowl of a bread mixer (if you don't have a mixer you can mix by hand), add the dried yeast, pour in the milk and water. If you do have a mixer then operate the machine at medium speed, if not you can just knead by hand. Next add the condensed milk. Add 2 eggs and continue to knead. Little by little add the salt and the butter cut into small pieces and wait until each piece is well mixed together with the rest before adding another one. Continue to knead until the dough will be easily detach from the walls of the bowl. Form a ball with the dough, place it in a bowl, cover with plastic wrap and place it to rise in a warm place, until it will have doubled its volume. It takes about a couple of hours. Meanwhile, soak the raisins in water. Drain the softened raisins and add to the dough. Split it into two equal patties, and with them form 2 sticks each one about 25 inches long, which you’re going to twist together to form a crown. Proceed to boil the 5 white eggs, and once well hardened let them cool down. Then slightly press them amid the crown mix; make sure they are equally spaced. Brush the surface of the cake with a beaten egg mix and bake in a preheated oven at 360° static for 40 minutes (if you have a ventilated oven then it will be at 320° for 30 minutes). Once finished baking, let the sweet bread cool down, then serve by cutting it into slices. This Easter bread is the perfect dessert for your Easter trips outside! Buona Pasqua & Buon Appetito! Copyright © 2002-2014 Cultural Italy Inc., All rights reserved.